I took the day off yesterday because we decided at the last minute to go to Chicago for the night. Therefore I couldn't really blog. I'm making up for it now. 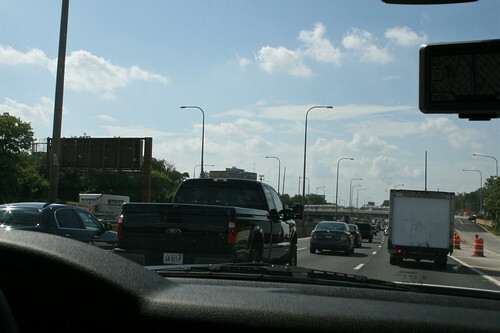 The short version: It took four hours for us to get to Schaumburg because of this. It was backed up going both ways. We choose a really hot day to go. 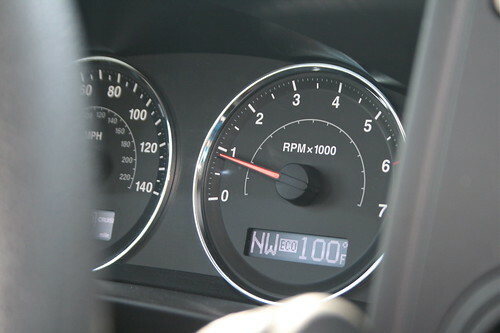 While waiting in traffic the temperature hit 100. We finally got to the hotel and dropped our stuff so we could get some dinner since we were starving. We went to Gino's East. I think that's the last time we'll go. It's just not our favorite pizza (we've had both the stuffed and the thin) and it's not cheap. When we left it was raining. We decided to stop at IKEA and do a little pre-shopping. 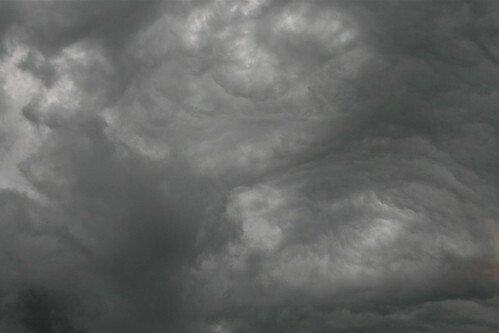 The sky was really dark and stormy. Several lightening bolts lit up the sky. We looked around one floor and decided to call it a night.